A new tsunami observation system using GPS buoys has been developed, which employs the RTK-GPS technique to detect and monitor tsunamis in real-time before they reach the coast. A series of experimental GPS buoys succeeded in detecting three tsunamis with amplitudes of about 10 cm. Following this success, since 2007, the Japanese government has established GPS buoy systems for monitoring sea waves at 19 sites around the Japanese coast. These systems succeeded to detect 11th March 2011 Tohoku-Oki earthquake tsunami. Through these experiences, we recognized two problems that need to be solved in order to deploy buoys at farther distances from the coast: one is that positioning accuracy decreases as the distance increases and the data transmission by radio becomes difficult for a long distance. In order to overcome these difficulties, first, a new algorithm of PPP-AR for real-time application was employed. The test analysis showed that the positioning accuracy may attain a few centimeters even if the reference GPS network that generates precise orbits and clocks is farther than 1,000 km. Then, a satellite communication system was experimentally used to send data in both directions between the land base and buoy. The data that was obtained on the buoy was transmitted to the land base and was shown on a webpage in real-time, successfully. This kind of system may have further applications of earth science; for example, we are trying to implement GPS/acoustic apparatus for continuous monitoring of ocean floor crustal deformations. 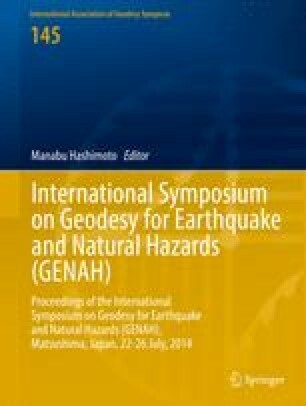 The authors would like to express deepest thanks to Mr. G. Hashimoto of and Mr. O. Motohashi of JAXA, Mr. S. Yamamoto of NICT, Mr. A. Wada of Hitachizosen Corporation and many other people for their support to this research. The authors also would like to express sincere thanks to three reviews whose comments significantly improved the manuscript. This work was supported by Grant-in-Aid for Scientific Research (S) 21221007 and the contracted research of Ministry of Education, Culture, Sports, Science and Technology of Japan.